Gateway Ticketing Systems (Gateway) supplies Aerospace Bristol with a comprehensive visitor management solution including fundraising, ticketing, admission control, retail solutions, reporting tools and customer relationship management. Aerospace Bristol is a new industrial heritage museum being developed at Filton, to the north of Bristol. Due to open this summer, the museum will tell the story of Bristol’s world-class aerospace industry – past, present and future. 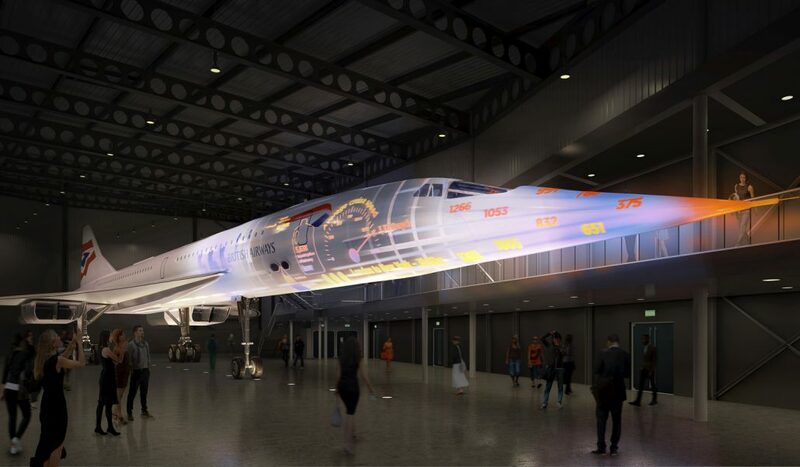 Aerospace Bristol’s show-stopping centrepiece will be Concorde 216. Designed, built and tested in Bristol, she was the last Concorde to be built and the last to fly. Aerospace Bristol will implement Gateway‘s solutions before the opening day. “Being able to capture donations and donor information prior to opening and all their visitor information from day one is a great advantage for Aerospace Bristol. Getting closer to their visitors and knowing what their interests are will help Aerospace Bristol develop offers that meet and exceed their expectations,” explains Andy Povey, Business Development Director at Gateway. Aerospace Bristol will be a major industrial heritage museum and learning centre that inspires and entertains today’s and future generations, through the presentation of the stories and achievements of Bristol’s world-class aerospace industry – past, present and future. Aerospace Bristol will reunite the heritage from a number of important collections to tell not only the stories of design, engineering innovation and achievement, but also the social history of the people who worked in the aerospace industry and the communities which have grown up around it. The object collection contains over 8,000 artefacts (many ‘at risk’) Bristol-built aircraft including Concorde 216, Bristol Scout, Bristol Fighter and a Blenheim IV (WWII Bristol Bolingbroke bomber, under restoration), as well as many scaled models.